It's time for year-end tax planning. Time to make year-end related party payments for certain calendar year corporations, pass-through entities. Have you taken your required distribution from your retirement account or IRA for 2011? Should you donate publicly traded stock? Should you make a donation from an IRA account? Will 2011 and 2012 be your last chance to 15% long-term capital gains? Should you make a Roth conversion during 2011? Should you buy business equipment by December 31, 2011? Would it be better to be married in December 2011 or January 2012? Should you sell depreciated ISO shares by December 31, 2011? Should you make family gifts before the end of 2011? California penalties for independent contractor missclassifications. Tuition plan checks not cashed taxable to parents. FICA and FUTA exemptions apply to family members of disregarded entity owners. Franchise Tax Board explains property tax deduction. Estate tax deduction allowed for interest expense. Enrolled Retirement Plan Agents don't need PTIN. Taxpayer wasn't a â€œtraderâ€�; losses limited. 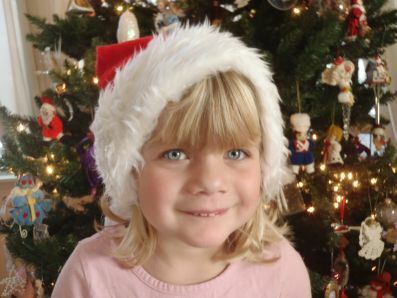 Kara Siemer is ready for Christmas! Yes, it really is that time of year. We hope that you and your family enjoy a happy and safe holiday season, and that 2012 will be a healthy and prosperous year for you. Michael Gray will be out of the office from December 16, returning December 27. Dawn Siemer wonâ€™t be available after December 12 until January 2. As you can see from the above schedule, Michael Gray will have very limited availability for year-end tax planning meetings. Reserve your appointment now by calling Michael Gray directly on the days he is in the office after December 12 at 408-918-3161. Although Michael Gray usually only meets with clients on Tuesdays and Thursdays, he has opened up more days this December. Since December 10 falls on Saturday, the first property tax payment for the 2011-2012 fiscal year in Santa Clara County is due December 12. Avoid a late payment penalty â€“ mail your payment early! In order to take current tax deductions for payments by accrual-basis businesses to cash-basis related parties for wages, interest and rent, the payments should be made by the year-end of the entity. For a calendar-year entity, thatâ€™s December 31. The limitation applies to owners who control C corporations, owners of 2% of S corporations, partners of partnerships, members of LLCs and certain members of the ownersâ€™ families. If you have any questions about this issue, consult with your tax advisor. Remember that account owners who are over age 70 Â½ generally must take a required minimum distribution by December 31. There is an exception permitting a distribution by April 10 of the next year for the first year a distribution is required. There is another exception for certain non-controlling employees who keep working after age 70 Â½. The penalty for missing the distribution is severe. If you have questions, see your tax advisor. Annual distributions are also required for inherited retirement and IRA accounts, including Roth accounts. Software providers will issue updates including the new payroll tax tables as of January 1, 2012. Be sure you have installed those updates before processing your first payroll for 2012. State estimated tax payments and early property tax payments made by December 31 are generally tax deductible for the regular tax. However, many people are finding they are subject to the alternative minimum tax. Deductions for taxes (and miscellaneous itemized deductions) arenâ€™t allowed for the alternative minimum tax, so there could be no benefit for a tax prepayment. A tax advisor can project your tax picture to determine if the AMT will apply. Turbo Tax and other tax preparation software can also be used to make the computations. Itâ€™s the season for giving. Many of us make extra donations during December to share our bounty with others. Appreciated publicly-traded stock that has been held for more than a year is an ideal asset for a donation. Under the Internal Revenue Code, the long-term capital gain is excluded from taxable income and the charitable contribution deduction is the fair market value of the stock, so there is a double tax benefit. Also, publicly traded stock isnâ€™t subject to the appraisal requirements that apply for other property. Itâ€™s a win-win-win! Remember to get a good acknowledgement letter to document the donation, including a statement that "no goods or services were received in exchange for the donation". Individuals who are over age 70 Â½ can have up to $100,000 of distributions made from their IRA directly to a charity. The distribution can satisfy the required minimum distribution requirement and is excluded from taxable income. Since the distribution is excluded from taxable income, more deductions will be allowed for medical expenses and miscellaneous itemized deductions, and the limitation that otherwise applies to charitable contributions will not apply to the distribution. With the roller coaster movement of the stock market, many people have investments that have declined in value. If you have realized capital gains during 2011, be sure to sell the depreciated stock before the end of the year to offset the losses against the gains. Be careful for the "wash sale" tax trap. If you buy the same stock or get an option to buy the same stock during the period 30 days before and 30 days after a sale at a loss, the loss is disallowed. Will 2011 and 2012 be your last chance for 15% long-term capital gains? If Congress does nothing, the Bush tax cuts are now set to expire after 2012. I donâ€™t expect tax reform or extensions to be done until some time after the 2012 election. This could be a good time to report capital gains, while tax rates are "on sale." Conversions of regular IRAs and 401(k) accounts to Roth accounts are now permitted without a limitation based on adjusted gross income. Federal tax rates are at a historic low and may be increasing when the Bush tax cuts end after 2012. Distributions from Roth accounts after a waiting period are tax free, and no distributions are required to be taken during the original account ownerâ€™s lifetime. Tax relief legislation increased the bonus depreciation allowance for new business equipment (subject to special limitations for cars and trucks) to 100% for equipment acquired and placed in service after September 8, 2010 and before January 1, 2012. That means expenditures for new equipment purchased during 2011 are currently deductible, without limitation (except for most cars and trucks). If you were planning to make a business equipment purchase soon, you should go ahead by December 31, 2011, because 100% bonus depreciation is currently scheduled to expire after 2011. The Section 179 expense election is still available for up to $500,000 of used equipment, with a phaseout with more than $2 million of acquisitions that wonâ€™t apply for most small businesses. Should you invest in small business stock before December 31, 2011? There is a 100% exclusion of gain when certain requirements are met for an investment in qualified small business stock during 2011. The exclusion is scheduled to decrease for investments made after 2011. See your tax advisor for more information. Would it be better to be married in December 2011 or January 2012. It can make enough of a difference to make a nice contribution to your honeymoon. If both spouses have high incomes, January 2012 is probably better. If one spouse has most of the income, December 2011 is probably better. "The devil is in the details." The only way to really know is to make tax projections. When you exercise an incentive stock option, the excess of the fair market value of the stock over the option price on the later of the date of exercise or the vesting date (unless a Section 83(b) election is made) is taxable for the federal alternative minimum tax. If the stock falls dramatically in value after the date of exercise, this can create a tax dilemma. There is an "escape hatch" if the stock is sold before the end of the year of exercise or of vesting. In that case, ordinary income is reported based on the sales price of the stock over the option price for both regular and alternative minimum tax purposes. The sale must be made to an unrelated party. A "wash sale" rule applies, so the same stock canâ€™t be purchased during the period from 30 days before the sale until 30 days after the sale, and an option to purchase the shares canâ€™t be acquired during the same period or the "escape hatch" rule wonâ€™t apply. See your tax advisor for details. Remember you can give up to $13,000 per year to each donee without being subject to gift tax. This means a husband and wife can give up to $26,000 to each of their children. In addition, the lifetime gift exemption is currently $5 MILLION! After 2012, the exemption is scheduled to decline to $1 million. (Again, whether Congress will extend the $5 million exemption probably wonâ€™t be resolved until after 2012.) Now may be a great time to make a big gift during 2011 or to plan a big gift during 2012. See your tax advisor and estate planning attorney. Use common sense. Donâ€™t make a big gift if it puts you in financial distress. California penalties for independent contractor misclassifications. California has enacted Senate Bill 459, which makes the willful misclassification of independent contractors "unlawful." Penalties for misclassification apply to the employer and to any paid person who advised the employer. Attorneys and employees of the business are exempt from penalties. The California Labor Workforce Development Agency has the authority to impose a civil penalty of $5,000 to $15,000 for each violation of a single misclassified individual. If the Labor Commissioner or a court determines there is a pattern and practice of these violations, a civil penalty of $10,000 to $25,000 may be imposed. There are also fines for requiring a "willfully misclassified" independent contractor to pay his or her own expenses. "Willful misclassification" is "avoiding employee status for an individual by voluntarily and knowingly misclassifying that individual as an independent contractor." The new law also requires the registrar of the Contractorâ€™s State License Board to "initiate disciplinary action against a licensee within 30 days of receiving a certified copy of an agency or court order." A husband and wife withdrew funds from their childrenâ€™s qualified tuition plan (Section 529) accounts, intending to use the funds to pay their personal bills. Before they cashed the checks, they changed their minds and endorsed the checks back to the tuition accounts. The Tax Court upheld the IRS in finding this was not a qualified rollover, and the parents were taxable for income included in the distributions. The Tax Court didnâ€™t impose the 10% penalty for early distribution, since the taxpayers didnâ€™t use the funds personally. The IRS has issued final, temporary and proposed regulations extending the exemption from FICA and FUTA taxes for wages paid to certain family members and the religious exemption to disregarded entities. For example, if a child of the owner who is under age 18 works for a single-member LLC owned by the parent, the wages paid to the child arenâ€™t subject to FICA or FUTA. Wages paid to a spouse who works in the trade or business of the other spouse are subject to FICA and Medicare taxes, but are exempt from FUTA. A child or spouse that works for a corporation isnâ€™t eligible for the exemption, even if the corporation is 100% owned by a parent or spouse. Wages of members of certain religious sects who work for other members of the sect may also be excluded from FICA and FUTA. The entity must file and receive an approval for an application certifying they are members of a qualifying sect. The IRS has ruled that a bonus pool payable to a class of employees but which isnâ€™t assigned to particular employees until after the year-end meets the all-events test to be tax deductible, provided the bonuses are paid by the 15th day of the third calendar month after the close of the taxable year. The California Franchise Tax Board has issued reminders to California taxpayers that not all of the amounts on their real estate property tax bills are tax deductible as itemized deductions. The deductible part is the "ad valorem" tax, which is computed based on the assessed value of the property. Many bills include "parcel taxes" and other amounts on them for billing convenience. It would be a good courtesy for the county tax collectors to note on the bills and their web sites what the tax deductible portion of the bill is, as the California Department of Motor Vehicles has done for auto registrations. This notification doesnâ€™t relate to a change in the tax laws. California is evidently trying to increase revenues by becoming more conscientious in enforcing current tax laws. A trust owned by a decedent borrowed funds from a trust not owned by the decedent in order to pay federal estate taxes. The IRS said the interest shouldnâ€™t be deductible on the federal estate tax return. The Tax Court ruled against the IRS and in favor of the taxpayer, finding the loan was for a reasonable purpose relating to the administration of the estate and necessary to pay the estate taxes, there was a reasonable expectation of repayment and the interest rate was reasonable. The Tax Court upheld the IRS in disallowing an estate tax deduction for the ongoing management of the trust assets that werenâ€™t related to the administration of the trust. Enrolled Retirement Plan Agents donâ€™t need PTIN. The IRS has eliminated the requirement for enrolled retirement plan agents whose activities exclude preparing of tax returns subject to the PTIN requirement under Notice 2011-6 to register under the PTIN program. Taxpayer wasnâ€™t a â€œtraderâ€�; losses limited. A taxpayer claimed $1.4 million in ordinary losses plus $92,000 of expenses from his investment activities He later changed to â€œinvestorâ€� status. The Tax Court upheld the IRS in finding that 200 trades in a taxable year wasnâ€™t sufficient activity for â€œtraderâ€� status. The amount of time for which securities were held also suggested the taxpayer was hoping to realize profits from asset appreciation, not short-term price variations. The deduction was limited to the $3,000 amount allowed for capital losses. November 4, 2011, Mark Erickson, attorney, "Divorce â€“ California Style: Child Custody"
December 16, 2011, Craig Martin, CFPÂ®, The Family Wealth Consulting Group, "The Role of the Fee-Only Financial Planner"
December 23, 2011, William Mitchell, CPA, "Iâ€™m Being Audited By The IRS! Now What Should I Do?" December 30, 2011, William Mitchell, CPA, "I Owe Back Taxes To The IRS! Now What Should I Do?" January 6, 2012, Scott Haislet, CPA and Attorney, "Real Estate Professionals and Passive Activity Losses"
January 13, 2012, Scott Haislet, CPA and Attorney, "1031 Tax Deferred Exchanges of Real Estate"
January 20, 2012, Bettie Baker Marshall, Attorney, "Caring for incapacitated family members and friends"
January 27, 2012, David Beck, CFPÂ®, "How a family can pay for a college education"